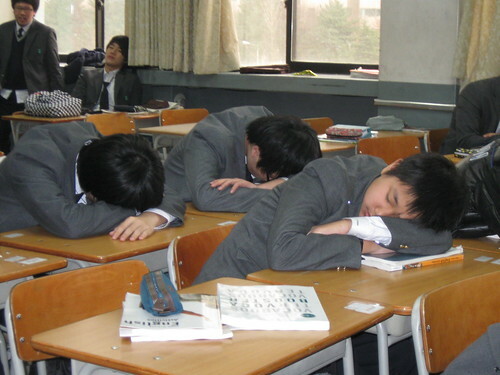 it’s always naptime – Hello Korea ! it’s always naptime, originally uploaded by Almost-Human. between class, during class, after class, what’s the difference? No doubt, Korea has changed and Koreans have changed. Since their richness didn’t help them stop selling babies overseass, in many way, Koreans were better when their country was poor.